The first thing users will notice about the updated LinkedIn policies, which go into effect on October 23rd, is the reduced length. LinkedIn has simplified these documents to make them easier to understand and to increase the likelihood that users will actually read them (remember the story in 2005 when a tech company hid a $1,000 prize in their user agreement and it took five months for someone to claim the prize). Of all the changes, LinkedIn touts its brevity first. LinkedIn has changed their Terms of Service to better reflect the reality of how content rights are handled by the company. 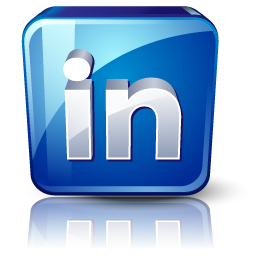 In the current (until Oct. 23) agreement, LinkedIn held broad rights to the content added on LinkedIn, but in practice, never used them. For example, the previous agreement stated that license users gave LinkedIn when the posted content was “irrevocable,” “perpetual,” and “unlimited.” Even if they never used content in such a way, that kind of language worked against the attempt to be a member first platform. The new agreement will state that LinkedIn doesn’t own the rights to the content users add. LinkedIn’s right to use the content people add on LinkedIn ends when the user deletes the content. LinkedIn also promises to never change the content users add. The company makes an exception of formatting changes that are sometimes automatically done by the system and changes related to translating pages for other users. However, the company notes that they can control what was done with the content by other users before it was removed. In other words, if someone were to repost content from another user, which the user subsequently deleted, the reposted content would remain on LinkedIn. They also removed the “forced arbitration” clause from the Terms of Service. Presumably, this will never come up for anyone, but it’s good to know, all the same. A summary of all the major changes to the Terms of Service is on LinkedIn. The other changes relate to LinkedIn’s acquisition of Bizo back in July of this year. With the help of this business to business marketing technology, LinkedIn will be able to do for itself, many of the functions it used to outsource to third parties. “It’s our goal to integrate Bizo’s offerings into our content marketing products to become a more powerful tool for brands that want to build stronger relationships with professionals” wrote David Thacker when the acquisition was first announced. LinkedIn’s new policy goes into effect on Thursday, Oct. 23rd. So far, everything looks on the up and up, and marketers can feel more confident about what happens to the content they add to LinkedIn. For more ways marketers can use LinkedIn to their advantage, read this article with four tips for better LinkedIn publishing. And if you read all this, but still want to see it in video form, here’s a video from LinkedIn explaining the new changes.